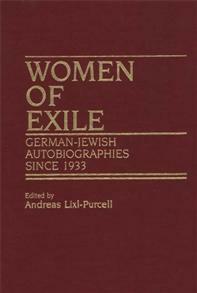 Twenty-six accounts of Jewish women who fled from Nazi-Germany and the Holocaust, and survived exile in countries across the globe. The impact of their remembrances lies in the matter-of-fact and fearless telling of personal accounts, narrow escapes, triumphs, sorrows, and spirit of resistance. The book focuses on narratives describing women’s social, cultural and political networks before and after immigration, the isolated struggles of individuals, their work as legal or illegal aliens, and their involvement with underground resistance movements.